Thank you members for your support of our 2018 Construction Camps! 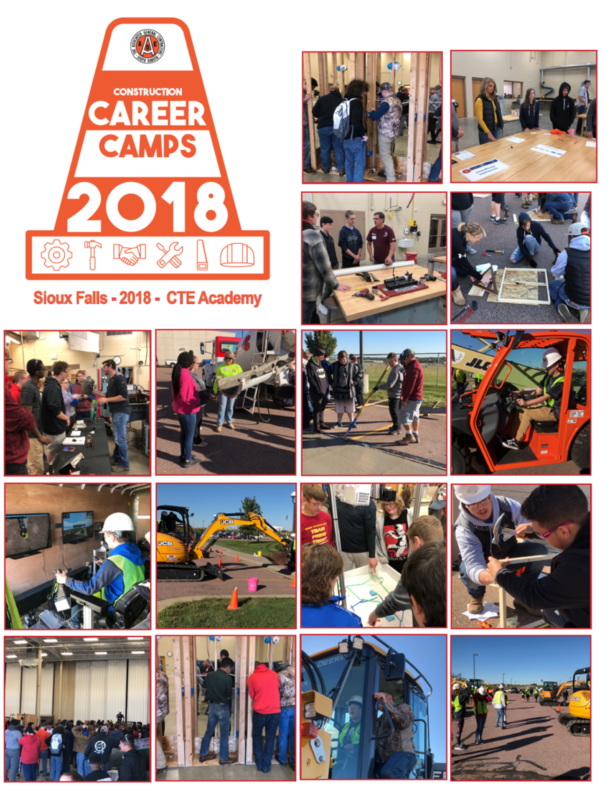 For over a decade AGC of SD has been on the forefront of providing hands-on camps exposing high school students the career opportunities available in the Construction industry. The main reason for the sustained success of these camps is our members who have donated their time, money, equipment, and valuable expertise. Due to all of this success and the growing interest in our camps, we are looking for ways to improve our camps and also reach a larger audience. Starting this year we will be holding our usual camps for high school students AND middle school students. We are changing the title of our high school camps to Construction Career Camps. The reason for that is we want to provide a greater emphasis on the Construction Career opportunities available in addition to having fun getting their hands dirty. For the middle school camps, we will be calling them Construction Awareness Camps. 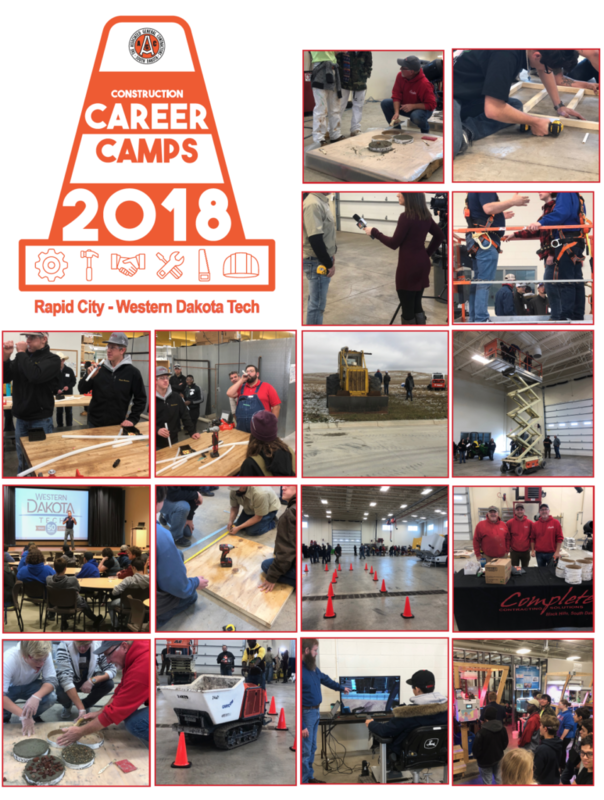 They will be similar in format to our high school camps with a larger focus on having fun and getting a general exposure to the Construction industry. 2019 dates will be announced in the spring.